The Dark Knight Rises Online Slot Review – Improved by Playtech! Batman needs no introduction, and after a dozen slot releases in the past half-decade, it appears that even slots depicting Batman’s adventure need no such thing. Nevertheless, this is Playtech’s view on The Dark Knight Rises by Christopher Nolan. This might sound familiar to you, and it’s only because Microgaming had the exclusive rights to the franchise a few years ago. It’s Playtech’s turn and we've taken the time to explore what they have created with this opportunity. Here’s our very own “The Dark Knight Rises slot review”, by Playtech. Where to Play The Dark Knight Rises Online Slot? Since this is a Playtech produced video slot, finding a casino where you can actually get access to it won't be difficult. Playtech casinos are extremely popular in the UK, which means, you are in a rather good spot. As always, we recommend the top 3 casinos where you can enjoy any given slot. Here are our top 3 online casinos that accept UK players, offer Playtech’s video slots and are also PayPal online casinos. It has an out of the ordinary layout which makes it 10 times more appealing! However, there are way more surprises under the hood! Appearance matters, but in the long run, it all comes down to whether the slot is fun and rewarding or not. Playtech fans should be well familiar with the interface and the settings they should adjust before they start to play The Dark Knight Rises online slot. How to Play the Dark Knight Rises Slot? Even if you haven’t played any Playtech slots yet, do not be frightened by the over detailed interface. It’s Playtech’s thing! However, the interface is not the only area where they prefer to have a lot of details. They’re doing the same with the bonus features and other elements too. The free spins bonus game is so complex, we’re going to need an entire separate section to give you a clear picture of what exactly is happening in the background. The mechanics are amazing, but so are the prizes. Needless to say, these are the fundamental steps you should take of, before you actually press or tap the SPIN button located in the right-hand corner of your screen. Like all other progressive slots that are part of the Playtech network, The Dark Knight Rises slot also comes with 4 different jackpots, Mini, Minor, Major and Grand Jackpot. More on this a bit later. You cannot change the number of active paylines since this is a 576 ways slot. All of the symbols are based on the Batman movie directed by Cristopher Nolan. Part of the trilogy which put Batman back on the big screen and revived Batman as a movie character. Basically, they are snapshots of the key aspects and characters in the movie. The Wild, the Scatter and the highest paying symbols, are all based on the movie’s elements. Batman is the highest paying symbol, although he does not play a particular role in respect to bonus features. Second in line is Bane, followed by Detective Gordon. Playtech didn’t go crazy with the symbols, including other secondary characters, which in our opinion is the right move. This is a video slot after all. The Wild Symbol is on spot, taking the form of the Batman Symbol, and the Scatter showcases the Fusion Reactor Core. You want it on the reels and you want to see it as often as possible! We’re going into greater detail in the following section. There isn’t one, but two bonus features which make The Dark Knight Rises slot by Playtech one of the best in their line of progressive slots, depicting the adventures of superheroes. Triggering this bonus feature means you will get the 3 reels in the middle covered with Stacked Wilds. The smaller side reels, can’t get covered with Stacked Symbols, but that’s why you can benefit from the multipliers that will be shown. Multipliers are always good news, especially when they’re combined with free spins or Wild symbols of any kind. Stacked Wilds are probably the best type, better even than Falling/Avalanche/Random Wilds. The Fire Rises Feature multipliers, can increase your wins by up to 25, meaning the maximum individual multiplier is 5x. The Dark Knight Rises Free Spins – If Batman is the one to hit Start first, you win these Free Rounds. The only difference is that any Batman symbols which land in the middle 3 reels become Wild Symbols, enabling you to win way more than you otherwise would. Born in Darkness Free Spins – Identical to the Dark Knight Rises Free Spins, this outcome means that Bane symbols are turning into Wild Symbols. Gotham City Reckoning Free Spins – If, and only if you are fortunate, both Batman and Bane can hit Start at the same time, triggering these Free Spins, which are by far the most rewarding. Not only do you get both Batman and Bane Free Spins, but you also get their multipliers. And yes, both Batman and Bane symbols turn into Wild Symbols. The best part about this jackpot, there is no minimum bet threshold. ANY SPIN, with ANY BET AMOUNT can land you a jackpot, ANY of the FOUR JACKPOTS. This is why we love Playtech jackpot slots! 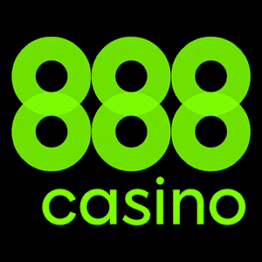 Bonus Casino at bet365 - Up to £100 New Player Bonus! Applies to first deposit to Casino only. 15x wagering (game weighting applies) on deposit and bonus to make the bonus balance withdrawable. The Dark Knight Rises Slot Conclusion: Bonus Features Define It! In all honesty, we were caught off guard by the quality of the game. It’s an all-round video slot, and although we hate saying it, it’s absolutely flawless. The Dark Knight Rises slot by Playtech has all the elements of a top tier video slot, and it also comes with 4 progressive jackpots! It doesn’t get better than this. Throughout The Dark Knight Rises review process, we realised that it’s way better than its predecessor, coming from Playtech’s rival – Microgaming. Hopefully, you will share this opinion once you give it a go, but also, you will have the privilege to scoop one of the progressive jackpots!